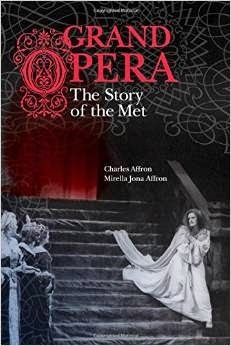 the authors of the new book Grand Opera: The Story of the Met. 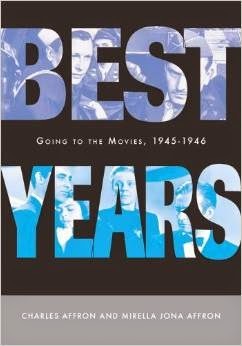 Their other work includes cowriting Best Years: Going to the Movies, 1945-1946 and Sets in Motion: Art Direction and Film Narrative. Charles Affron is Professor Emeritus of French Literature at New York University. Mirella Jona Affron is Professor Emerita of Cinema Studies at The College of Staten Island/CUNY. They are based in New York. Q: Why did you decide to write a history of the Met? 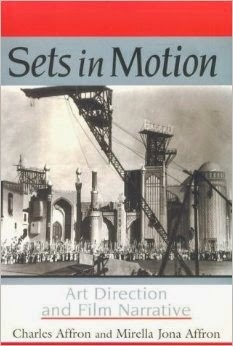 MJA: Charles and I had written two other books together about film, one about the relation between set design and narrative, and one about what it was like to go to the movies in the U.S. during what were arguably the best years, 1945-46. We were looking for a new topic that would also focus on performance, but would be a new platform, and would be a shared passion. There hadn’t been a comprehensive history [of the Met] in 30 years, a large chunk of its 130-year history. In a rash moment-- we were on a hotel balcony in Slovenia--we had a moment of ambition, which we looked back on with horror in the years that followed! MJA: We were writing another book too—so about five or six years. Q: In the book, you describe the “class distinctions” when the Met first opened. Did the performances appeal to a wide variety of New Yorkers, and how has that changed over the years? CA: There was an immigrant audience that was very familiar with opera—in the beginning, German—and they occupied the upper reaches of the opera house. The opera house was built by very rich patrons, who wanted a venue for their display of wealth. The immigrant audience changed with the Italian wave at the end of the 19th century. CA: It’s very hard for us to know. There have been surveys in the last few years, but we have not been given access to them. MJA: It is aging, not aged—the average age is something like 65, and [regarding] the demographics of the audience, that is the most significant number. CA: When [the Met’s general manager] Peter Gelb came in, he was aiming at a younger audience; that was one of the reasons for the new repertoire he’s integrated. MJA: If he succeeds in attracting a younger audience, I don’t think that’s likely. MJA: One of the thoughts was to treat the core repertoire in a radical way, with staging that was more like European staging. That alone, in most cases, is not key to attracting a younger audience. CA: You do see a younger audience when they do contemporary opera. Q: Yes, I was going to ask you what Peter Gelb’s impact has been. CA: The impact has been enormous. He creates a number of new performances, he imported stage directors from different venues…he upped the number of contemporary operas. Alas, he alienated some of the longtime patrons of the Met, because they didn’t like [the changes]. Live in HD is very significant. MJA: When you sit in a movie house in New York City, and you think that people in Seattle and Milan are watching the same production at the same time, it’s quite thrilling. Q: You write about how world events affected the history of the Met. Can you describe the impact of the World Wars on the use of German language, and on the performers at the Met? MJA: In World War I, in contrast with World War II, when America entered the war, the German language was banned, which meant a very large wing of the repertoire was no longer performed on the stage of the Met. CA: Wagner was a great favorite, and this lopped off Wagner for about two years. That meant the singers were no longer under contract. It came back in English translation, and by 1921 it was back in full force, but it took a long time to reconstitute the core of singers. Q: One of the shifts at the Met over the years involved the integration of the performers. Was the Met slow to employ performers of color, or more in line with other cultural organizations of that time? MJA: I would say the Met was on the slow side, especially in comparison with the New York City Opera. [Then-general manager] Rudolf Bing, who finally did [change the situation], even when he contemplated using African-American singers, it was only in roles which he felt they were suited, not Brunnhilde, the blonde Wagnerian. The first to break the color line was a dancer. One chorister strayed on the stage—if not by accident, the Met wasn’t aware. It wasn’t until Marian Anderson was well into her 40s [that she appeared]. CA: Once it was broken, it was wonderfully broken [with] an amazing cohort of singers. The women had an easier time than the men; there were very few African-American men in leading roles. Q: Why do you think that was? CA: I don’t know, but I can conjecture that audiences had a harder time seeing an African-American [man] as a romantic lead opposite a white woman than vice versa. CA: Now, the opera is color-blind. Q: How was it to work together on this book? MJA: We kept changing our minds about how to do this. We tried one way, and it didn’t work, from the point of view of peace in the family! I thought I would have a greater role in the history of the institution, and Charles would have a greater role in the history of performance. But then you had to mesh it, not only structurally but rhetorically. It’s generally true that my voice is more present on the institution and his on the performance…. Q: Will you write another book together? CA: I don’t think so. We have an opera blog, Opera Post, which we update every 10 days or so. We talk about things that are current, but in their historical context. We’ve written lots of books. MJA: It’s a moment in our lives where shorter [projects] are more in season than a very long project. And then there are other things we want to do. But one never knows! Q: Is there anything else about the book you’d like people to know? MJA: It could have been much longer! It could have been twice as long. CA: It was conceived as being twice as long. MJA: You know what the strictures of publishing are. Had it been twice as long, we wouldn’t have had to make so many difficult choices!